HUSBAND: HOW WAS YOUR DAY? ME: (SILENTLY PULLS BRA THROUGH - ProudMummy.com the Web's Community for Mums. HUSBAND: HOW WAS YOUR DAY? 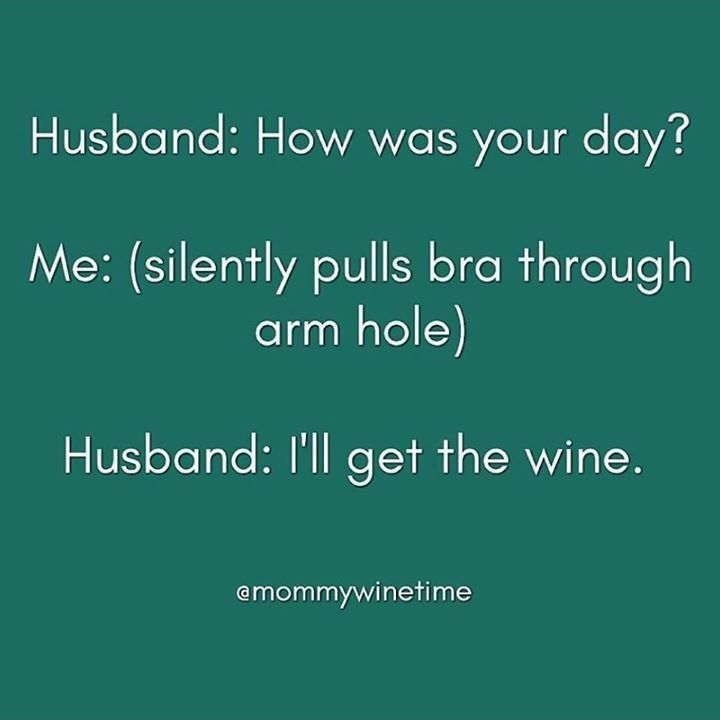 ME: (SILENTLY PULLS BRA THROUGH ARM HOLE) HUSBAND: I'LL GET THE WINE. Jason Fahy this is the support i need!